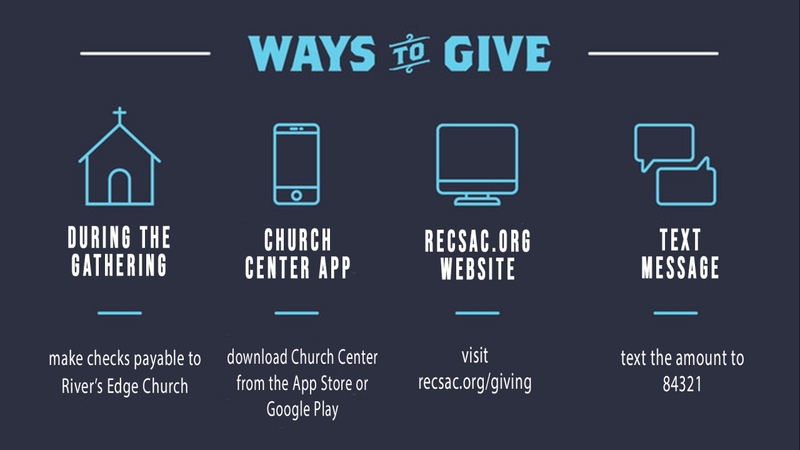 Online giving and giving via text message are safe and easy ways to support the ministries of River's Edge Church. Give via debit card, credit card, or ACH bank transfer (no account required). Make a one-time donation or set up a recurring contribution. Set up Text-to-Give and text 84321 to make donations on the go. Print out your giving statement any time at your convenience. Keeping your information and contribution secure is a top priority for River's Edge Church.